Is your car key broken, damaged or worn out ? 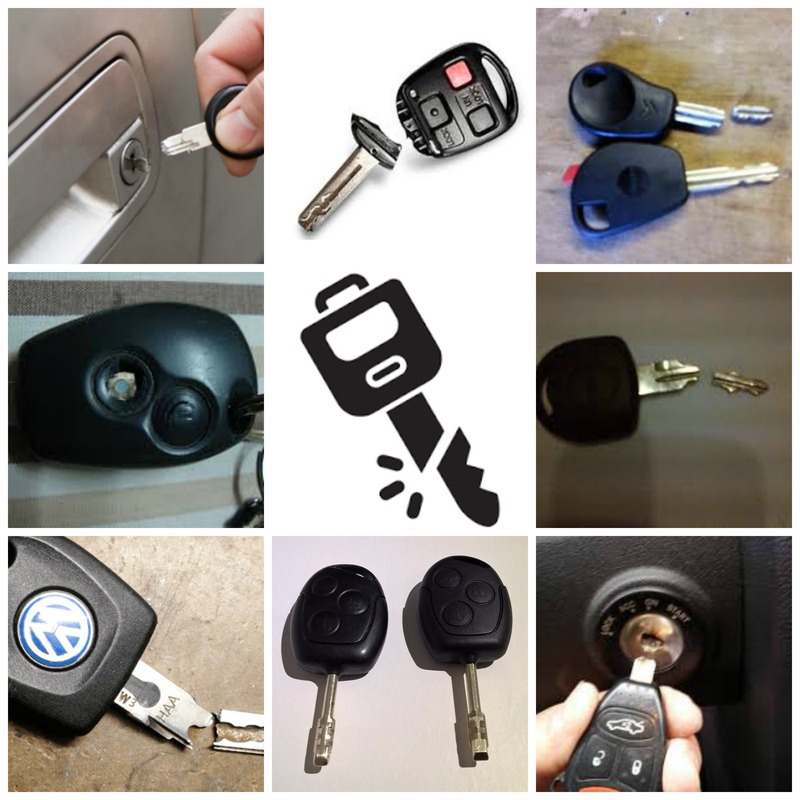 At Replacement Car Key we can supply, cut and program a new key. If your car key is broken, damaged, or just worn out call us we can help. We cover all makes and models of car, van and truck plus being mobile auto locksmiths we come to you. My car key is snapped and stuck in the ignition or door lock. If you have snapped your key and part of the key is in the door lock or ignition we can extract it from the lock and cut you a new key. What ever you do, DO NOT put glue anywhere near the lock or start fishing with a small screwdriver,(YES PEOPLE DO THIS !!!) it will only make the job harder or impossible for us to extract the broken key.